Jeffrey and Rebecca Trebilcock systematically starved their five adopted children, one boy and four girls, all between the ages of 10 and 13. The abuse came to light when the boy, 13, was admitted to the emergency room too weak to stand. After years of malnutrition and food deprivation, he was the size of a seven year old. 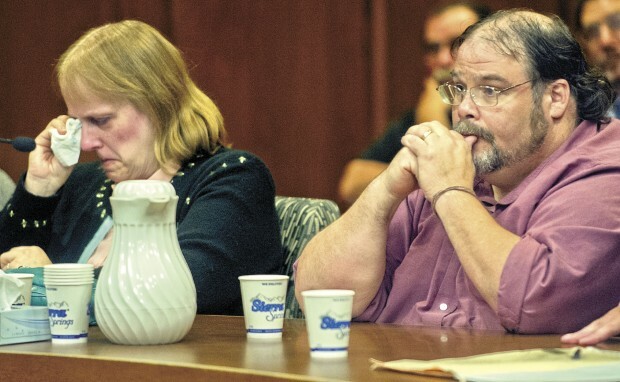 The couple’s four biological children, three adult and one minor, were well fed. The couple had rigged the kitchen with alarms so that they would know if their adopted children tried to steal food. There were also allegations of severe and bloody physical abuse. The family lived in Washington state and the couple homeschooled their children. Neighbors expressed shock at the allegations and described the couple as loving Christian parents.